Here at Pyrenees Collection, we understand the importance and need to stick to a budget when it comes to booking your ski holiday. In fact, one of the major benefits of the French Pyrenees is that accommodation prices can often be significantly lower than those of the French Alps. The accommodation in our programme has been carefully selected to offer the best possible choice to our clients, catering for all budgets and requirements. All our accommodation has been selected and checked by our directors or members of the team so you won't have any unpleasant surprises. You retain all of the usual ski holiday perks of the Alps but at a lower cost. We make sure that you will stay in comfortable and well-placed accommodation in authetic French Pyrenean resorts. See below for more information on how you can save money on your French Pyrenees ski holiday. As we have said, the main benefit of the French Pyrenees is that you get everything you are looking for in a ski holiday but at a lower price! The accommodation in the French Pyrenees will offer an authentic welcome, and choosing correctly means you could get 4* quality for less! We also offer great value 3* and 3* superior accommodation, purpose built with the friendly character of the French Pyrenees. Feel free to browse our accommodation through the resort pages above. Accommodation star ratings vary from 3-4 stars but we believe they all offer the great value for money. All of our prices shown are per apartment so you can get value for money when booking a larger apartment for a group. 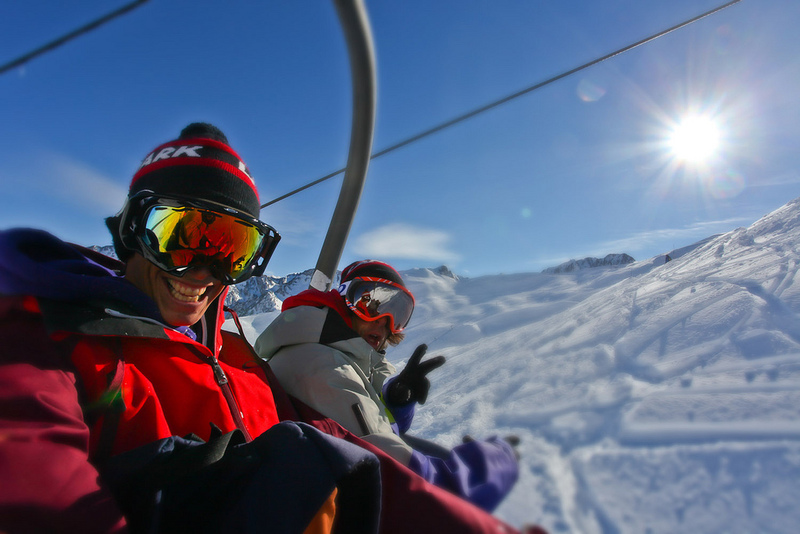 Below you will find our selection of ski resorts that have cheap lift passes. Prices quoted are per adult and per child based on a 6 day ski pass. Big savings can be had when pre-booking Ski & Snowboard equipment through Pyrenees Collection. Click here to see the prices for our resorts. Ski school is an important ski extra for many skiers, whether it is for the beginner or for those who would like to improve their technique. Here are some of the cheapest ski lesson prices, based on 6 half day lessons. Lessons can be taken in the morning but the following prices are for ski lessons taken in the afternoon as these work out cheaper. For more detailed information and pricing on ski and snowboard school and lessons, please see our Ski School Page and select a residence within your chosen ski resort. It is also worth considering what the in-resort prices are like for eating and drinking out. It is for this reason that the ski resort bible ‘Where to Ski & Snowboard 2014’ has listed the Pyrenees as a whole in their ‘50 Budget Resorts’, due to their good value for money within the resorts including amenities plus the bars and restaurants. Saving in the resort and therefore reducing the amount of spending money you require can be an excellent way to save on the overall cost of your holiday. To help you save some pennies we have come up with eight ways to help you save money this winter and book a great Pyrenees ski holiday at a great price! See our Top Saving Tips page for more details on how to save £££s! Unlike other ski holiday operators, we don't charge fuel surcharges, under-occupancy supplements or ski & boot carriage fees. You may have to clean your self-catering apartment yourself or pay extra to have your ski accommodation cleaned, you may have to bring your own bed linen or towels or hire them locally but these should not have much impact on your overall ski budget.